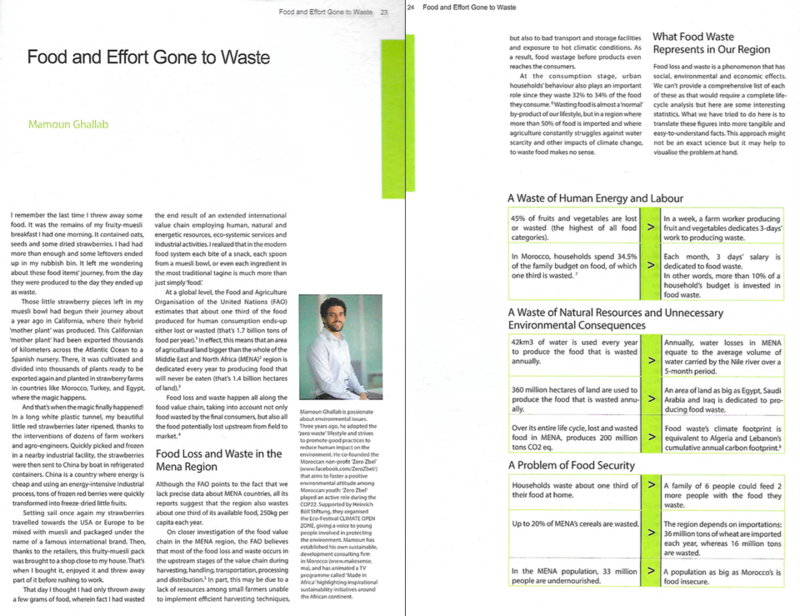 In this article published in the political analysis magazine Perspective MENA, Mamoun Ghallab offers us a closer look to what « food waste » really means in the MENA region. We all know that food waste in the region and globally represents about 30% of the food produced for human consumption. But what does that means in a region where agriculture depends on scarce ressources, where households dedicate a high share of their income to buying food and where food supply is highly dependent on importations ? Perspectives MENA is a magazine published by Heinrich Böll Foundation – the international foundation of the german green party « Die Grünen ».